Traditional client research often focuses more on transactions than on what ultimately drives loyalty: the overall health of the client relationship. Businesses need a strategic research partner who can help them see things often beyond their reach – to consider not just their own current clients, but also their prospective clients, departed clients, and the intermediaries who influence decisions. Since our founding, Chatham Partners has relied on a combination of quantitative surveys and in-depth interviews. These interviews are conducted by a team of professionals who have executive experience in the financial services industry and who know how to draw out critical perceptions and attitudes that might otherwise go unsaid. This real-world expertise informs all aspects of our work. 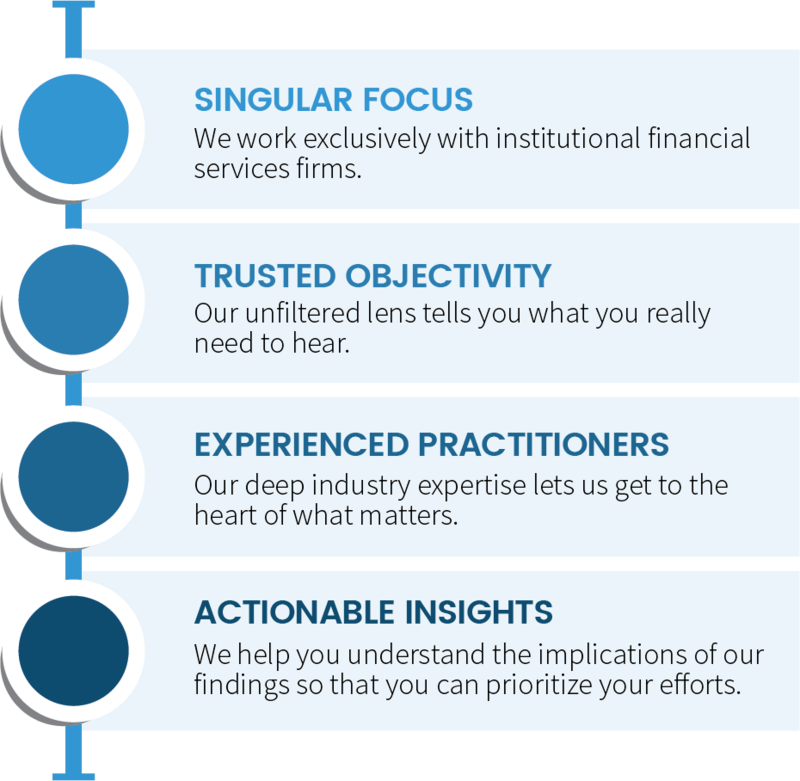 Our analysis and reporting includes specific, realistic recommendations that enable our clients to address current and developing issues immediately. And our high-touch approach means that we treat every engagement as a true partnership, ensuring every client need is met.